The standard media clich about the Clinton health plan is that God, or the Devil, depending on your point of view, "is in the details." There is surprising agreement among both the supporters and all too many of the critics of the Clinton health "reform." The supporters say that the general principles of the plan are wonderful, but that there are a few problems in the details: e.g., how much will it cost, how exactly will it be financed, will small business get a sufficient subsidy to offset its higher costs, and on into the night. But the details of the Clintonian plan, however diabolic, are merely petty demons compared to the general principles, where Lucifer really lurks. By accepting the principles, and fighting over the details, the Loyal Opposition only succeeds in giving away the store, and doing so before the debate over the details can even get under way. Lost in an eye-glazing thicket of minutiae, the conservative critics of Clintonian reform, by being "responsible" and working within the paradigm set by The Enemy, are performing a vital service for the Clintonians in snuffing out any clear-cut opposition to Clinton’s Great Leap Forward into health collectivism. GUARANTEED UNIVERSAL ACCESS. There has been a lot of talk recently about "universal access" to this or that good or service. Many "libertarian" or "free-market" proponents of education "reform," for example, advocate tax-supported voucher schemes to provide "access" to private schooling. But there is one simple entity, in any sort of free society, that provides "universal access" to every conceivable good or service, and not just to health or education or food. That entity is not a voucher or a Clintonian ID card; it’s called a "dollar." Dollars not only provide universal access to all goods and services, they provide it to each dollar-holder for each product only to the extent that the dollar-holder desires. Every other artificial accessor, be it voucher or health card or food stamp, is despotic and coercive, mulcts the taxpayer, is inefficient and egalitarian. COERCIVE. "Guaranteed universal access" can only be provided by the robbery of taxation, and the essence of this extortion is not changed by calling these taxes "fees," "premiums," or "contributions." A tax by any other name smells as rotten, and has similar consequences, even if only "employers" are forced to pay the higher "premiums." Furthermore, for anyone to be "guaranteed" access to anything, he has to be forced to participate, both in receiving its "benefits" and in paying for them. Hence, "guaranteed universal access" means coercing not only taxpayers, but everyone as participants and contributors. All the weeping and wailing about the 37 million "uninsured" glosses over the fact that most of these uninsured have a made a rational decision that they don’t want to be "insured," that they are willing to take the chance of paying market prices should health care become necessary. But they will not be permitted to remain free of the "benefits" of insurance; their participation will become compulsory. We will all become health draftees. EGALITARIAN. Universal means egalitarian. For the dread egalitarian theme of "fairness" enters immediately into the equation. Once government becomes the boss of all health, under the Clinton plan or the Loyal Opposition, then it seems "unfair" for the rich to enjoy better medical care than the lowest bum. This "fairness" ploy is considered self-evident and never subject to criticism. Why is "the two-tier" health system (actually it has been multi-tier) any more "unfair" than the multi-tier system for clothing or food or transportation? So far at least, most people don’t consider it unfair that some people can afford to dine at The Four Seasons and vacation at Martha’s Vineyard, whereas others have to rest content with McDonald’s and staying home. Why is medical care any different? And yet, one of the major thrusts of the Clinton Plan is to reduce us all to "one-tier," egalitarian health care status. COLLECTIVIST. To ensure equality for one and all, medical care will be collectivist, under close supervision of the federal Health Care Board, with health provision and insurance dragooned by government into regional collectives and alliances. The private practice of medicine will be essentially driven out, so that these collectives and HMOs will be the only option for the consumer. Even though the Clintonians try to assure Americans that they can still "choose their own doctor," in practice this will be increasingly impossible. PRICE CONTROLS. Since it is fairly well known that price controls have never worked, that they have always been a disaster, the Clinton Administration always keen on semantic trickery, have stoutly denied that any price controls are contemplated. But the network of severe price controls will be all too evident and painful, even if they wear the mask of "premium caps," "cost caps," or "spending control." They will have to be there, for it is the promise of "cost control" that permits the Clintonians to make the outrageous claim that taxes will hardly go up at all. (Except, of course, on employers.) Tight spending control will be enforced by the government, not merely on its own, but particularly on private spending. One of the most chilling aspects of the Clinton plan is that any attempt by us consumers to get around these price controls, e.g. to pay higher than controlled prices to doctors in private practice, will be criminalized. Thus, the Clinton Plan states that "A provider may not charge or collect from the patient a fee in excess of the fee schedule adopted by an alliance," and criminal penalties will be imposed for "payment of bribes or gratuities" (i.e. "black market prices") to "influence the delivery of health service." In arguing for their plan, by the way, the Clintonians have added insult to injury by employing absurd nonsense in the form of argument. Their main argument for the plan is that health care is "too costly," and that thesis rests on the fact that health care spending, over recent years, has risen considerably as a percentage of the GDP. But a spending rise is scarcely the same as a cost increase; if it were, then I could easily argue that, since the percentage of GDP spent on computers has risen wildly in the past ten years, that "computer costs" are therefore excessive, and severe price controls, caps, and spending controls must be imposed promptly on consumer and business purchases of computers. MEDICAL RATIONING. Severe price and spending controls means, of course, that medical care will have to be strictly rationed, especially since these controls and caps come at the same time that universal and equal care is being "guaranteed." Socialists, indeed, always love rationing, since it gives the bureaucrats power over the people and makes for coercive egalitarianism. THE ANNOYING CONSUMER. We have to remember a crucial point about government as against business operations on the market. Businesses are always eager for consumers to buy their product or service. On the free market, the consumer is king or queen and the "providers" are always trying to make profits and gain customers by serving them well. But when government operates a service, the consumer is transmuted into a pain-in-the-neck, a "wasteful" user-up of scarce social resources. Whereas the free market is a peaceful cooperative place where everyone benefits and no one loses, when government supplies the product or service, every consumer is treated as using a resource only at the expense of his fellow men. The "public service" arena, and not the free market, is the dog-eat-dog jungle. So there we have the Clintonian health future: government as totalitarian rationer of health care, grudgingly doling out care on the lowest possible level equally to all, and treating each "client" as a wasteful pest. And if, God forbid, you have a serious health problem, or are elderly, or your treatment requires more scarce resources than the Health Care Board deems proper, well then Big Brother or Big Sister Rationer in Washington will decided, in the best interests of "society," of course, to give you the Kevorkian treatment. THE GREAT LEAP FORWARD. There are many other ludicrous though almost universally accepted aspects of the Clinton Plan, from the gross perversion of the concept of "insurance" to the imbecilic view that an enormous expansion of government control will somehow eliminate the need for filling out health forms. But suffice it to stress the most vital point: the plan consists of one more Great Leap Forward into collectivism. The point was put very well, albeit admiringly, by David Lauter in the Los Angeles Times (September 23). Every once in a while, said Lauter, "the government collectively braces itself, takes a deep breath and leaps into a largely unknown future." The first American leap was the New Deal in the 1930s, leaping into Social Security and extensive federal regulation of the economy. The second leap was the civil rights revolution of the 1960s. And now, writes Lauter, "another new President has proposed a sweeping plan" and we have been hearing again "the noises of a political system warming up once again for the big jump." The only important point Mr. Lauter omits is leaping into what? Wittingly or unwittingly, his "leap" metaphor rings true, for it recalls the Great Leap Forward of Mao’s worst surge into extreme Communism. The Clinton health plan is not "reform" and it doesn’t meet a "crisis." Cut through the fake semantics, and what we have is another Great Leap Forward into socialism. While Russia and the former Communist states are struggling to get out of socialism and the disaster of their "guaranteed universal health care" (check their vital statistics), Clinton and his bizarre Brain Trust of aging leftist grad students are proposing to wreck our economy, our freedom, and what has been, for all of the ills imposed by previous government intervention, the best medical system on earth. 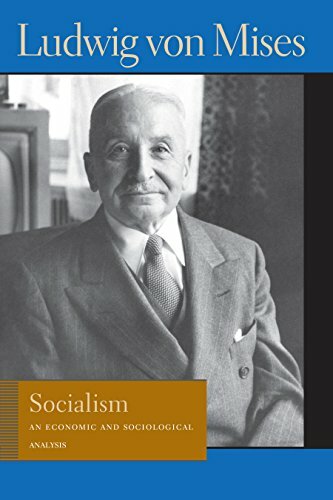 That is why the Clinton health plan must be fought against root and branch, why Satan is in the general principles, and why the Ludwig von Mises Institute, instead of offering its own 500-page health plan, sticks to its principled "four-step" plan laid out by Mises Institute Senior Fellow Hans-Hermann Hoppe (The Free Market April 1993) of dismantling existing government intervention into health.